When it comes to wax, I’m not usually a “win big, lose big” kind of guy, but every now and then I’m willing to roll the dice. 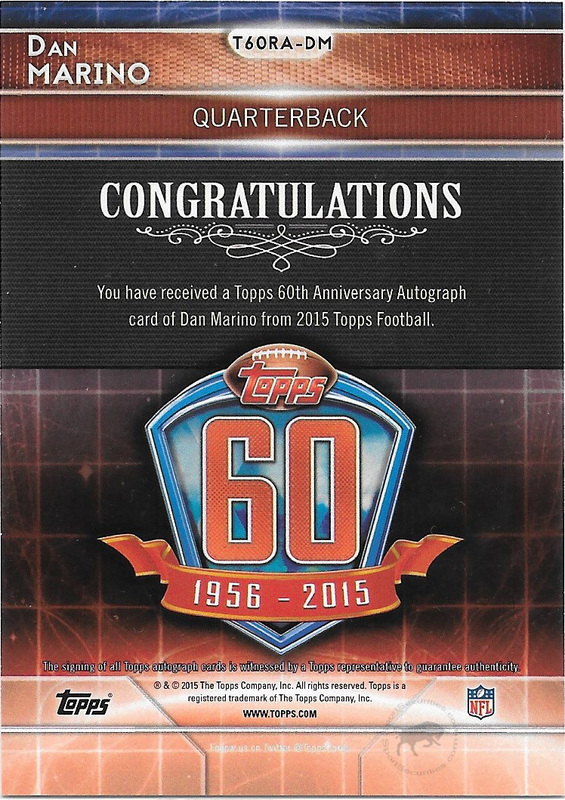 Recently, I read on Twitter that Topps was offering 2015 60th Anniversary HOF Football packs that contain only one autographed card. Intrigued, I visited the Topps website and found the packs for sale. At first, I thought that the product was a just a sticker dump, but after seeing the checklist I was further intrigued. The list consisted of 34 NFL Hall of Famers with at least a third being superstars. Honestly, as I scanned the list, there wasn’t any player that would be considered a disappointment. If you don’t believe me, here is a copy of the checklist. My opinion quickly changed, as I realized that the upside of this product greatly outweighed the risk, so I spent the $75 (plus shipping) and ordered a pack. When my pack finally arrived, I was pumped! I had read a bit more on the cards and learned that each of the players was featured on a reprint of their Topps rookie card. To sweeten the product, there would be silver parallels (#/25) and gold parallels (#1/1) of each player. Visions of Stadium Club Favre Gold 1/1 autos briefly entered my thoughts, but vanished as I quickly opened the envelope and saw the silver foil pack. Carefully I ripped the pack and was pleased. 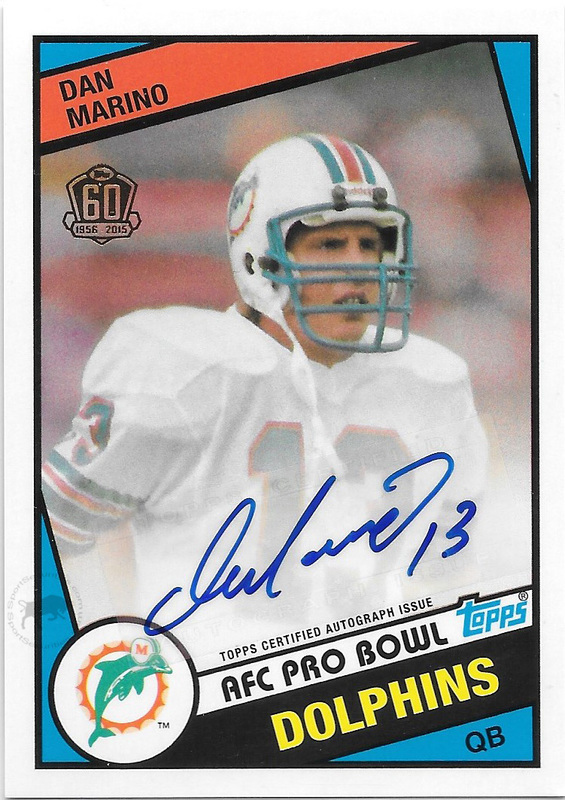 I had gotten card T6ORA-DM Dan Marino base auto. It wasn’t the Brett Favre or Emmitt Smith that filled my dreams, but none the less was a nice pull of an all-time great quarterback. In addition, I think the card concept was pretty cool and made for a fun product. I would have preferred a hard signed card, but the sticker is placed well and the signature is clean (no smudges or runoffs). As I marveled on my new card, I was a bit saddened… I should have ordered two packs! 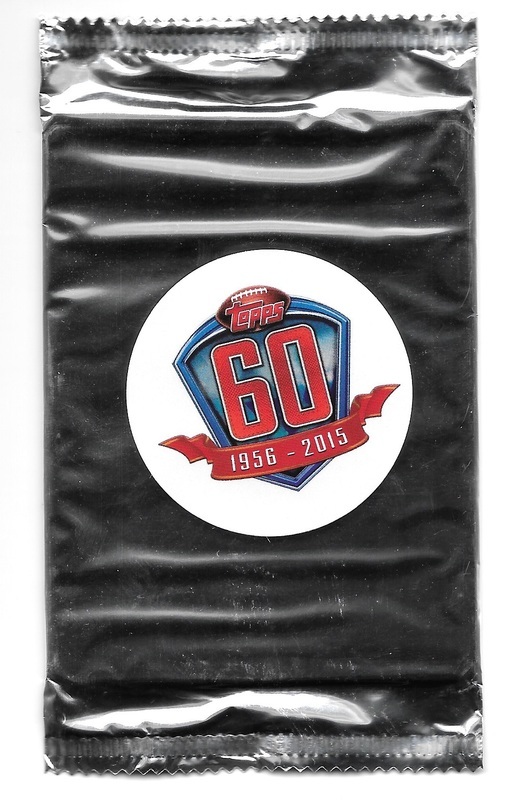 2015 Topps Football 60th Anniversary HOF Silver Foil Wax Pack. Topps Exclusive only available via the Topps Website.